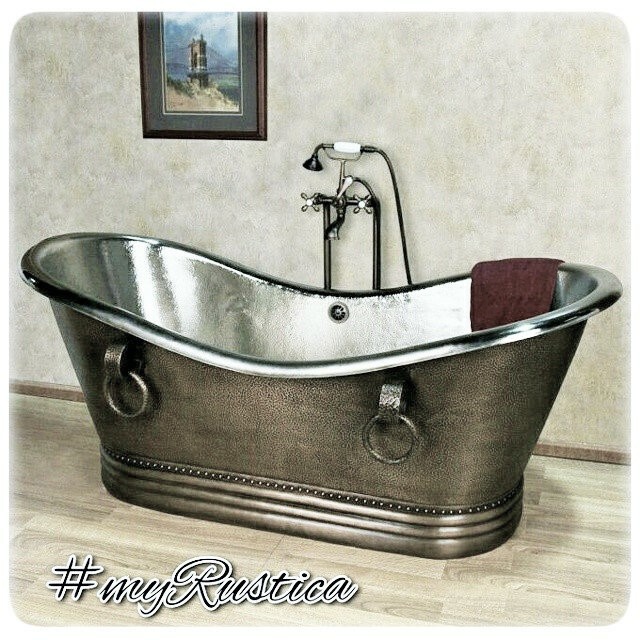 Click the button below to add the Copper Bathtub '9909' to your wish list. Gently inward slopping walls and a wide lip make this soaking copper bathtub an interesting bathroom fixture. Copper is considered sanitary metal used in bathrooms for centuries with a great success. Tub #9909 is a good example of soaking type designed for up to two persons. Its surface is hammered and treated with natural patina. The bathtub shown on the image was manufactured in fired natural and there are other colors available. See product detail page for options including a drain-back system that prevents water from accidentally flooding the bath-room floor.